Orestea, from Guildford, UK, bring a blend of Poppy vocals and Alternative Rock riffs with their latest album 'Elements'. The quartet has played a variety of Rock festivals but the album leaves you wondering if they could have brought something heavier to the table to offset the slower sections of the record. 'Welcome To Surviville' is packed with effects and slightly heavier sections eating into the sound between the clean-cut vocals. The sound is dragged in different directions, a little like their writing style; it feels creative but just shy of being knitted together into something that hangs together coherently. The title-track is stronger featuring more of a Pop Punk vibe with Lisa Avon's crystal-clear vocals providing a soaring contrast to the angst-ridden guitar riff. At other times during the album, Avon's vocals can feel a little shrill and wavering. 'Ghost Of Letting Go' sums up the album best; there's a combative bridge where things have the potential to take off, but for the most part the track constantly feels like it's fading, only for it to go on longer. Songs like 'Here's The Plan' and 'Got Your Back' have a bit more rhythm but need more polish to shine through. 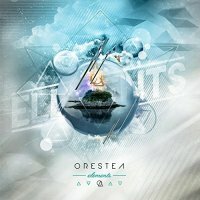 There are touches of Evanescence's haunting mood and, at Orestea's best, they chime with the playfulness of Paramore. Overall, however, the album doesn't pack the punch of either band.